How does one of the smallest churches in the Dallas-Fort Worth metroplex sponsor one of the largest Beach Clubs in the nation? It is all about the volunteers. 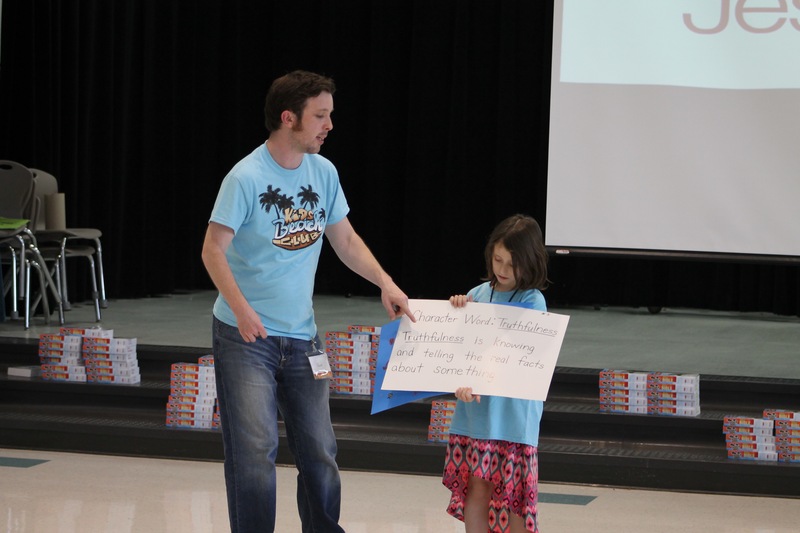 This spring, Hickory Tree Baptist Church started a Beach Club at Floyd Elementary in Balch Springs, near Mesquite. The church averages around 100 people every Sunday and had a real concern about how it was going to staff the club. “I was really worried about our volunteer base initially because over half of our church is senior adults and the younger families all work,” said Jason Points, the children’s pastor at Hickory Tree. The also had incredible support at Floyd Elementary. 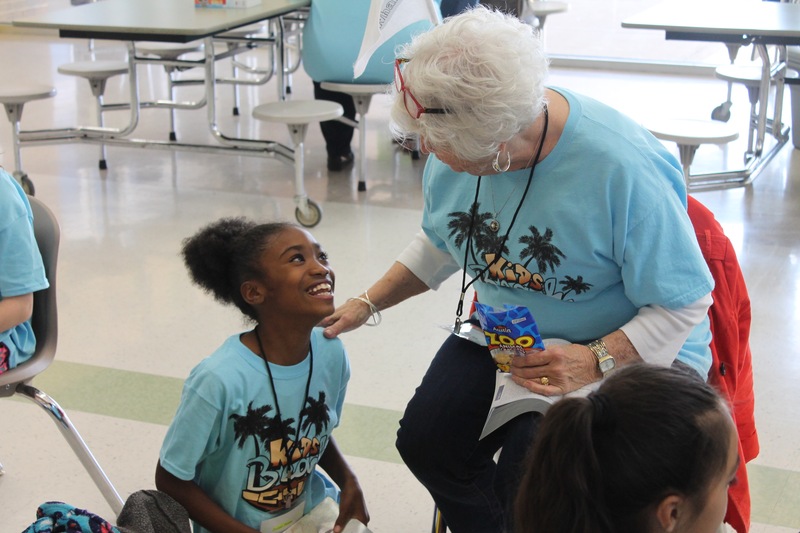 “With the support of the principal, we put our heads together and she basically blessed the teachers and the staff to help with KiDs Beach Club®,” Points said. “From there it all took off. One of the volunteers from his church, Georgia Dowdey, who raised five children of her own at Hickory Tree, is appreciative of the opportunity to share Jesus with public school children. “It is awesome to be able to work with these kids with Beach Club,” she said. “It’s something that great to know that we can bring this in our schools again. Another church volunteer, Sue Murphy, a member at Hickory Tree for 44 years, said, “To think that you have an opportunity to help children, guide their thinking and maybe seek the Lord. That is our real goal, to help the children and find Jesus. The principal and some of the staff at Floyd previously taught at schools with Beach Clubs and were thrilled it was coming to their school. A few of her fellow teachers and other staff at the school also serve in the club. The church volunteers enjoy serving alongside the teachers and staff at Floyd. 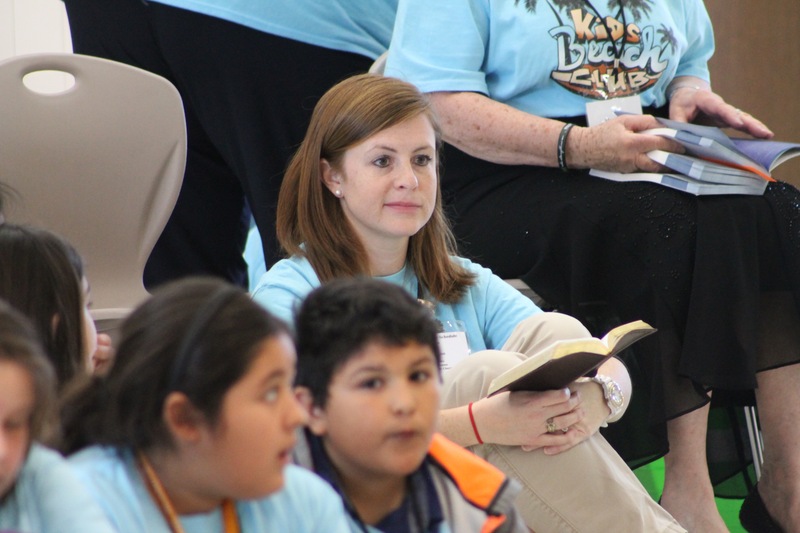 “I am so grateful to our precious principal, Dr. Mamantov, and these precious people, these teachers, who are Christian teachers allowing us to team with them to help the little children,” Murphy said. “To even have a few of the children find the Lord; every minute that you give is worth it. It is such a privilege. The community has truly come together to make an impact on the students at Floyd and their families and to help lead them to Christ.